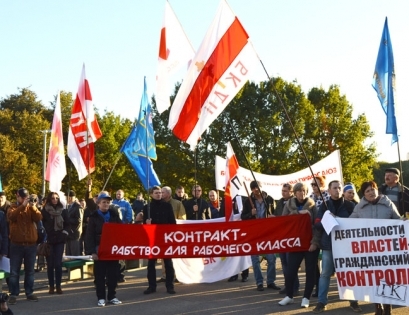 BelarusDigest > Politics > Why do the authorities persecute independent trade unions? On 2 August, the Department of Financial Investigations detained the leaders of the Radio Electronic Industry Trade Union, filing a criminal case on tax evasion charges. The few independent trade unions which have survived decades of restrictive policies in Belarus remain a strong oppositional force in the country. As active participants in the mass protests against the social parasite law in Spring 2017, union leaders likely became targets of the authorities’ preventive action to deter future demonstrations. However, the police force asserts that all charges are of a purely economic nature to avoid criticism from western governments and international organisations. On 2 August, the Department of Financial Investigations arrested the head of the Radio Electronic Industry Trade Union (REP), Hienadź Fiadynič, and his deputy, head of Minsk the office Ihar Komlik, on tax evasion charges. The financial police also confiscated hard disks and paper documents from the organisation. On the same day, searches took place at the offices of the Belarusian Independent Trade Union in Salihorsk, the heart of Belarusian potash industry. The apartments of activists linked with the movement were also searched, and the financial police have interrogated many trade union leaders. Fiadynič and other activists were released following the interrogation, but Komlik remains in custody. The police claim that REP leaders opened bank accounts abroad, where they accumulated ‘hundreds of thousands dollars’ from foreign donors, even though they had no license from the National Bank of Belarus to open a foreign account. Allegedly, they were trying to obscure their financial deals and evade taxes at home. REP activists deny all accusations and claim that the account mentioned by the police was closed in 2011. ‘We call upon the representatives of the international community to immediately put the release of political prisoners and the complete cessation of political repressions in Belarus as a condition for dialogue with the Lukashenka regime’. However, the head of the Department of Financial Investigations, Ihar Maršalaŭ, argues that ‘this case has no political background. We are doing our usual job of uncovering tax evaders’. Under the Soviet system, trade union were the ‘social pillars’ of the state. Nevertheless, they had no real power and served as an instrument of the Communist party. After the dissolution of the USSR, numerous independent trade unions and associations emerged in Belarus. 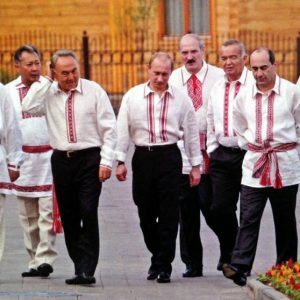 However, there was a split regarding support for the Lukashenka regime following his 1994 election. 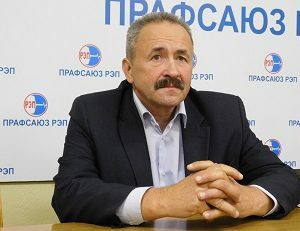 Only after 2001 did the authorities manage to wrest control of the Belarusian Federation of Trade Unions (FPB) and purge it of oppositional elements. The authorities continue to persecute the most vocal unions. As a result, the oppositional trade unions formed an alternative association: the Belarusian Congress of Democratic Trade Unions. Over the past two decades, independent trade unions have faced constant pressure and struggle to meet bureaucratic requirements such as registration and legal address. Union members often face restrictions and punishments at their place of work. As a result, membership to independent trade unions has dropped to around 10,000, while the official FPB boasts 4 million members. Despite formal membership numbers, FPB can hardly be regarded as a protector of workers’ interests. Governed by the political leadership of the country, it never challenges official policies. In contrast, independent trade unions actively struggle against violations of labour rights and criticise the government, for which they are hated by both enterprise bosses and the political leadership. International actors frequently point to violations of labour rights in Belarus. For example, the persecution of independent trade unions has led to the exclusion of Belarus from the EU Generalised System of Preferences, resulting in hundreds of millions dollars of loss since 2006. Following the arrest of the REP activists, human rights groups immediately recognised them as political prisoners. This differs from the White Legion case, when two dozen people were detained on charges of creating an illegal armed group. Activists were hesitant to step in because of the presence of weapons and other evidence. Valiancin Stefanovič, an activist for the human rights group Viasna, explains that this time, the state has clearly violated the right to free association, because trade unions cannot freely receive foreign aid in Belarus. For years, the authorities consciously complicated the process of receiving foreign aid for civil society, viewing it as support for political enemies and interference in the politics of a sovereign state. Most commentators agree that it was REP’s active participation in the spring protests against the social parasite decree that has led to the organisation’s repression. The union gathered 45,000 signatures demanding the abolition of the decree and offered legal consultations to people who planned to contest their obligation to pay the tax. REP also provides legal assistance for citizens on a daily basis and constitute one of the few real forces that actively works with the people. What’s more, many activists in the union participate in the Belarusian National Congress, headed by oppositional hardliner and former political prisoner Mikalaj Statkievič. It seems that in the wake of the events of spring 2017, and fearing another wave of social unrest in the future, the authorities have decided to weaken potentially powerful actors. 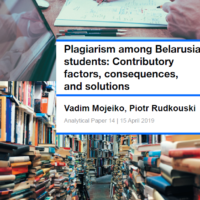 Many noticed that the case of REP resembles the case of Alieś Bialiacki, who was arrested on the same charges in 2011 after the government of Lithuania handed over information on Viasna’s bank accounts to the Belarusian authorities. He spent three years in prison and was released in 2014 as part of the Belarus-EU rapprochement process. However, unlike seven years ago, it seems that this time around there will be no political prisoners. The Belarusian authorities have drawn very clear lessons from their experience with the West. Imprisonment of political activists causes outrage, while criminal persecution without imprisonment earns a far more muted response. At the same time, it effectively decreases the power of the opposition. The fact that those arrested during the White Legion case have all been released despite the fact that a criminal investigation continues confirms this assumption. The authorities are learning how to justify repressions with purely security (in White Legion case) or economic (in the case of trade unions) evidence, in order to avoid politicisation and criticism from western countries.